Original release. Riviera is almost like a graphical text-adventure, with selectable triggers dictating your movement. It also has relationship elements reminiscent of that found in a dating sim. The first remake of Riviera, this version offered eight new CG sequences, an additional ending, voice acting and a completely different art style. Another remake of Riviera, this version features full voice acting, forty-eight new CG sequences, improved in-battle graphics, higher resolution artwork and backgrounds, Jello sprites and extra scenes. 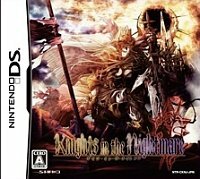 The American version and the Japanese Special Edition rerelease both contained a full Chapter 8. Original release. Yggdra Union features a unique card and formation based battle system in which the exact placement of your characters becomes limited and of the absolute importance. 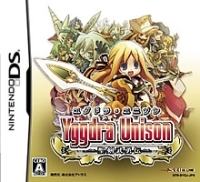 A remake of Yggdra Union, featuring completely redrawn sprites and high resolution maps, as well as a newly arranged soundtrack, more battlefields, additional recruitable characters, an animated intro cutscene, full voice acting and more. A port of Yggdra Union for iPhone and Android, featuring a rewind function, mid-stage saving, and a prolonged stay of our beloved Flunky on Easy mode. Port/better version of the cell phone spinoff game. Some kind of "retelling" of the YU story that lets you follow any army as the protagonist. Blaze Union: Story to Reach the Future is a prequel to Yggdra Union featuring the same gameplay style, branching paths, new classes and a handful of new cards. The story, as its name implies, paves the way for the events in Yggdra Union. Gloria Union: Twin Fates in Blue Ocean is a sequel to Yggdra Union. Most of its unit classes are new, it has 16 new cards, weather effects, and gives you a boat that increases your strategical options. Like Blaze Union, it has branching paths and multiple endings. Knights in the Nightmare is the fourth episode in Sting's Dept. Heaven series. It is a "turn-based real-time" strategy RPG in which you use the stylus to control a Wisp that guides the attacks of your units. A PSP port of the DS version, because Sting just likes to do that. Condenses everything to one screen and adds a third play scenario. Episode IX of the Dept. Heaven series. Gungnir: Inferno of the Demon Lance and the War of Heroes (Masou no Gunjin to Eiyuu Sensou) is a tactical RPG that takes elements from the previous three games and names them all sorts of odd things. Supposedly the "most creative" of the DHE titles.